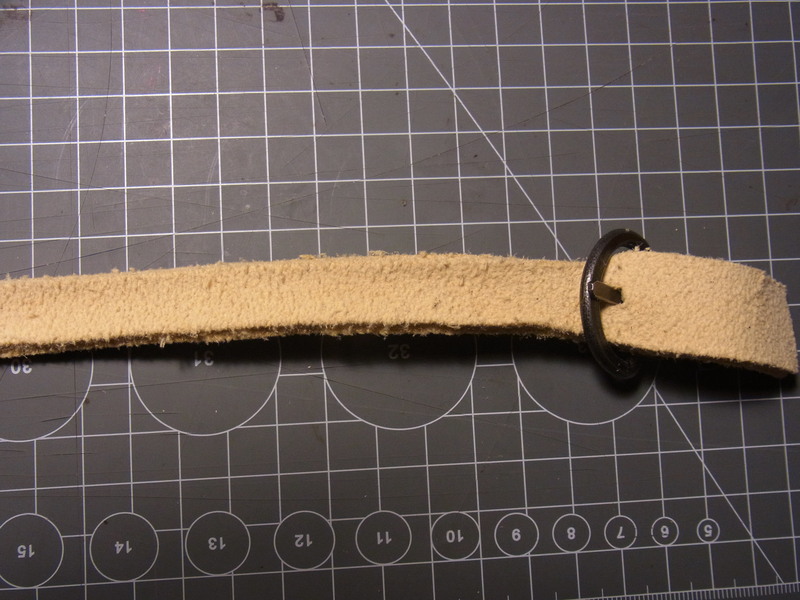 Quite often I saw references that deerskin was used for armingstraps. Unfortunately I never found a seller for thick deerskin. On my first impression after the leather arrived I was sure that I wasted my money cause it felt like a thick flexible windowleather. On touch it is extremly stretchable and almost fluffy. But after some tests I changed my mind. So one try should this fluffy stuff get. 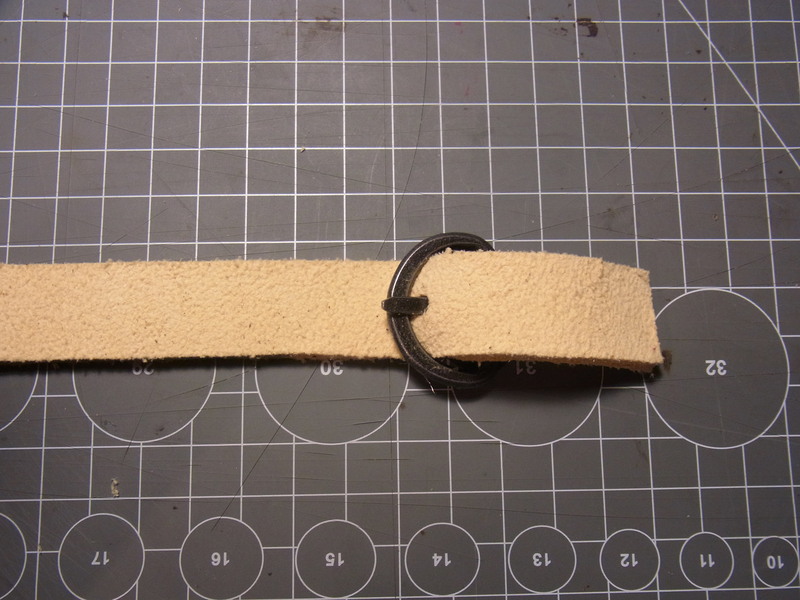 I cut out a 20mm broad strap (use a scissor was much easier than to cut is with a knife) and punched a 3mm hole for a buckle. 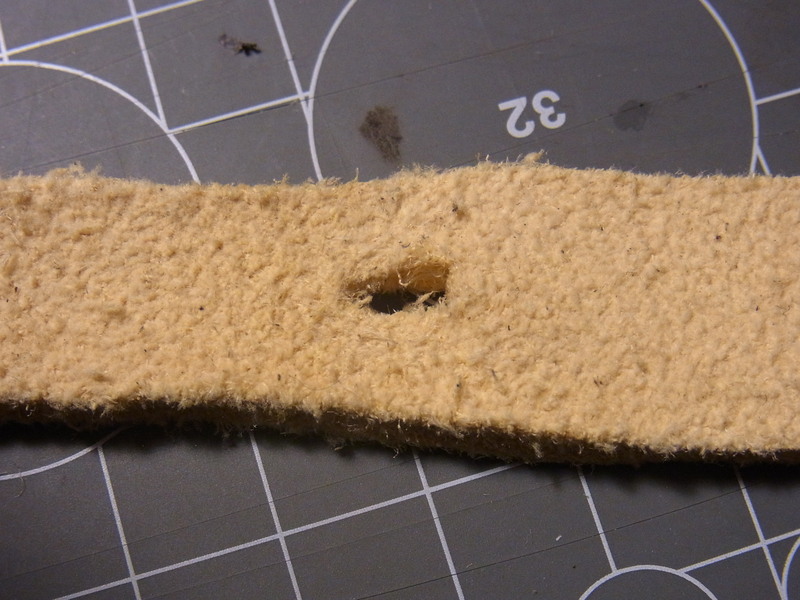 To test the tear strength I clamped the end of the strap into my vice and pulled it by the buckle (intention was to tear it…but I was not able to!!! ).Und Spante das andere Ende in den Schraubstock ein. Hier war der Abstand 21cm zwischen Schraubstock und Schnalle. Der Riemen lies sich ohne große Kraft elastisch auf 27cm Länge ziehen und Sprang dann wieder auf die 21cm zurück. 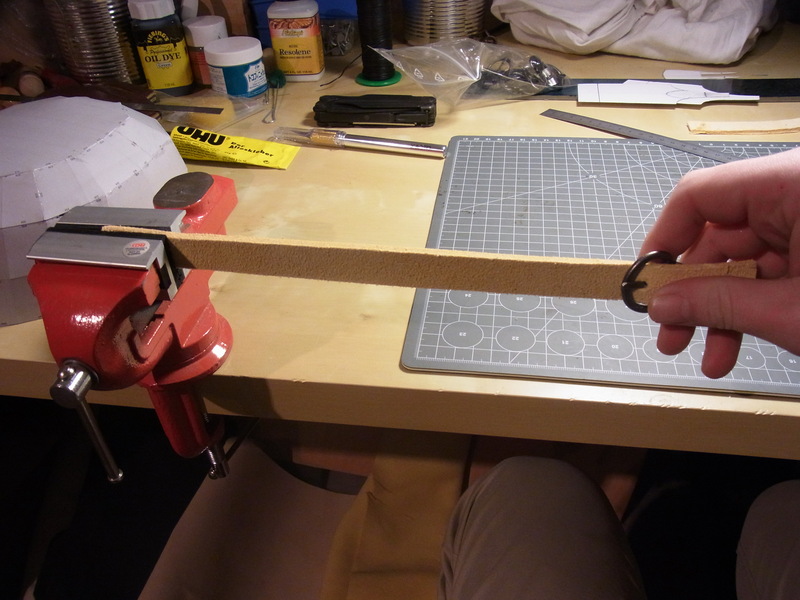 In this test I measured the distance between buckle and vice. Before the Test the distance was 20cm. Applying slight force I was able to pull it to 27cm. After releasing the strap it was still enlarged to 21cm. With full force the strap stretched to 35cm. After releasing it stay 30cm long and narrowed its width. The buckle hole is not teared just a little deformed. 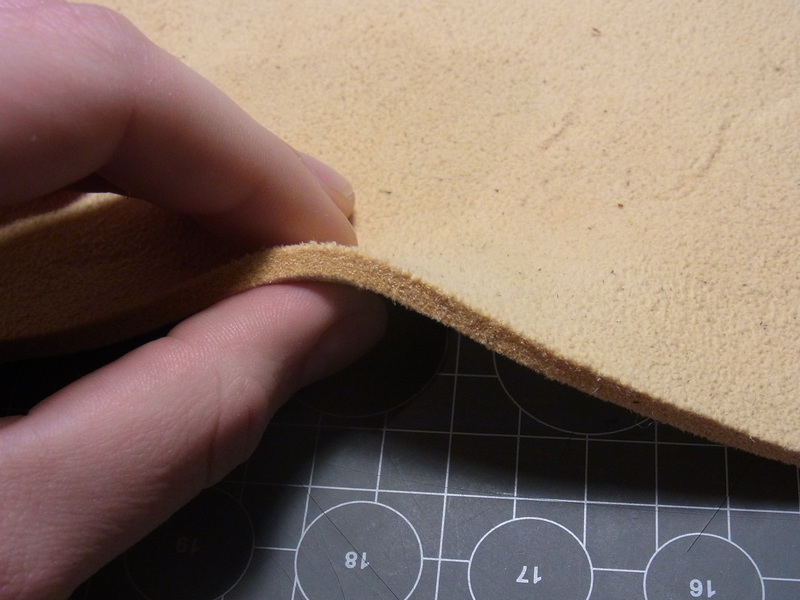 I´m really impressed of the tear strenght of this leather abd I will use it in one of my coming projects. 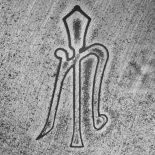 This entry was posted on January 7, 2017 by nilsmandel in Fantasy Projekte, Historisches and tagged arming point, arming straps, armour, Elchleder, elk leather, Rüstung, Riemen.